My art teacher Carol used to keep these on her desk in her studio. We spent more time playing Chinese checkers than painting. Because of her I can fold you an origami crane. And I will. First of all, I love your new header. 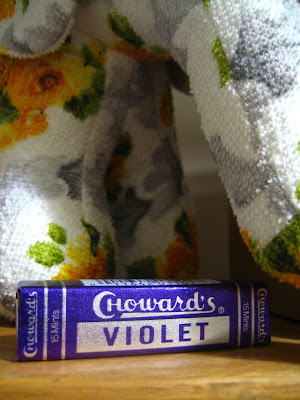 Secondly, those violet things taste like soap. Lastly aren't all art/piano teachers involved in some kind of conspiracy to become your friends and just hang out with you for, like, an hour while your parents pay a bloody fortune, whilst you and he/she form an unspoken pact never to reveal that it's all a total sham? is that just me?